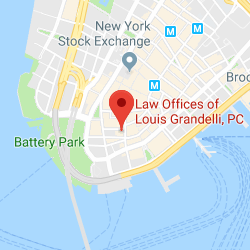 FAQs | Law Offices of Louis Grandelli, P.C. Should I speak to the insurance company before I retain an attorney? It is hard to imagine any circumstances where an accident injury victim can benefit by providing a statement to the insurance company without the advice of an attorney. In our experience, it is best to seek a legal consultation before providing any statements. An insurance investigator can sometimes trick an unwary accident victim into making inaccurate statements which can be used against them in any potential litigation. Should I attempt to settle my case without an attorney? Insurance companies may attempt to have you sign an agreement and enter into a “quick settlement” which does not properly compensate you for your damages. It is obviously best to seek the advice of an experienced personal injury attorney to properly analyze the damages in your case so that you obtain the maximum compensation under the civil justice system. Should I go to the hospital or be seen by a doctor? If you were injured in the accident, you should seek medical attention which is appropriate for your injuries as soon as possible. With some types of injuries, you may not experience any pain or discomfort for a day or two following the accident. In any event, if you are injured, the sooner you seek medical treatment to document your complaints and injuries, the better off you will be in the long run. In a motor vehicle accident, photographs of the scene of the accident, damage to the vehicles involved, and injuries to any parties are very important to the success of a personal injury case. In a construction accident case, it is imperative to promptly take photographs of the scene of the accident, any equipment involved in the accident, such as ladders or scaffolds, or any debris or dangerous ground surface which may have caused or contributed to the accident. In a slip/trip and fall accident at a premises, it is also necessary to promptly take photographs of the scene of the accident whether it be a defect on a floor, in a stairwell or slippery condition such as liquid, ice or another foreign substance. The pictures of the above should be taken from all angles and distances. The standard fee in a negligence case is a contingent one-third of the recovery. The standard fee in a medical malpractice case is a “sliding scale” which will be explained at a free consultation. This is the same whether the case settles out of Court, settles at trial or results in a favorable jury verdict. Will I be dealing with my lawyer or my lawyer's office staff? At our office we assign every file to an attorney and a team of professional support staff who are responsible for all aspects of the case. Some aspects of any given case may be delegated to another attorney, due to scheduling conflicts. However, we have a full team on call every day to assist our clients’ needs. What do I do if I'm Dissatisfied With My Current Attorney? The process in substituting a law firm that you are not satisfied with is relatively simple. Clients often find out that it was a mistake to hire the first attorney they chose to represent them in a personal injury case. In these situations, clients are free to have any law firm of their choosing substitute the firm that was initially retained. All that is required in order to substitute the law firm that was initially hired is to have the necessary documents signed by the client and for the out-going and incoming attorneys to arrange for a transfer of the client’s file. 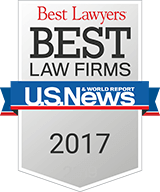 Our firm has been selected by numerous clients over the years to substitute a law firm that the client was dissatisfied with. However, we are reluctant to substitute another law firm if that firm is handling the case in a competent and professional manner. Therefore, we will only agree to be retained in cases where we feel that we can achieve far greater results for the client. This is a difficult question to answer for many reasons. Every case is different and the nature of the case, complexity of the issues, schedules of the attorneys, parties, witnesses, experts and Court may affect the length of time a lawsuit takes. In our experience, a “quick settlement” often does not benefit the plaintiff, and it sometimes may take several years to achieve maximum results in cases involving severe injuries or wrongful death. There is limited time in the State of New York to file a personal injury lawsuit referred to as a statute of limitations. Generally, the time period for a negligence action is three years from the date of the accident, and the time period for a medical malpractice action is two and a half years from the date of the malpractice. However, the statute of limitations can be shorter if the potential defendant is the Federal Government, the State or City of New York, or one of their agencies. If the plaintiff is a minor or under a disability, it is possible that the statute of limitations will be tolled (extended). Since the statute of limitations applicable to your claim may depend upon the nature of your case we recommend that you contact us promptly so that we may advise you. How is the value of my case analyzed? c) Source of collection – ability to recover based upon the resources of the defendant. In cases where the defendant maintains a large insurance policy or is a large corporation, the ability to recover is usually not an issue. However, if the available insurance is limited, or the company does not have assets, it may affect our ability to obtain full recourse for your damages. How do we prove damages to ensure your adequately compensated? In order to achieve maximum results, we spare no expense to obtain the best medical experts, vocational experts, economic experts, life care experts, or any other expert we feel is necessary to obtain the recovery you deserve. In the case of a motor vehicle accident, the No-Fault insurance carrier should pay your medical bills and lost wages up to $50,000.00. Private insurance may “kick in” after No-Fault benefits have been exhausted. In the case of an injury at work, the Workers’ Compensation carrier should pay your medical bills and lost wages. In other types of accidents, a private health insurance company or Medicare/Medicaid should pay your medical bills. You should give a great deal of thought about whether you should settle your case, especially if you were just injured, since a settlement is binding forever. While many lawyers promise quick money, be sure to ask yourself before entering into a settlement if the offer properly compensates you for all of your past and potential future damages. Often times, the injuries an accident victim suffers from actually get worse over time and your economic damages can increase due to the deterioration of your medical condition. Cases go to trial when one party refuses to make, or accept, a settlement offer. Whether a case settles or goes to trial depends upon many factors, including the type of case, available evidence and, the quality of your legal representation. 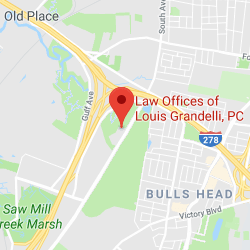 At Law Offices of Louis Grandelli, P.C., we prepare every case for trial because we believe that it will put the client in the best position to obtain the maximum recovery. Please refer to our “Cases of Note“ section to evaluate our track record of outstanding achievements. What types of construction accidents fall within the New York State Labor Laws? Workers who are involved in altering, constructing, demolishing, excavating, renovating or painting may be protected by the New York State Labor Law. The Labor Laws require that a property owner, general contractor or their agents furnish workers with a safe workplace. If you have been injured while working at a construction site, contact us to determine whether you were engaged in a protected activity under New York State Labor Law Sections 200, 240 and/or 241(6). Can I recover more than Workers' Compensation benefits if I was injured while working at a construction site? If you were injured while working at a construction site due to the negligence of a third-party (someone other than your employer), a violation of the New York State Labor Law or Industrial Code, by a third-party then you may seek compensation beyond the limited benefits you can obtain through your Workers’ Compensation claim. A potentially responsible party at a construction project may be a property owner, a contractor, subcontractor, or manufacturer of equipment. We advise you to contact us to determine whether you have a viable claim for negligence or under New York State Labor Laws. New York State has a “No-Fault” system for motor vehicle accidents to ensure that insurance companies pay for medical expenses, lost wages and household help regardless of who caused the accident. The time to file an application for No-Fault benefits is usually 30 days so it is critical that you act promptly. The No-Fault insurance carrier must provide a minimum of $50,000.00 towards the medical bills and lost wages of the claimant/covered person, but the No- Fault insurance carriers often act quickly to have their doctors examine you in an attempt to “cut off” your benefits. Therefore, it is imperative that you seek medical treatment promptly if you have been seriously injured and follow your doctors advice. Do I have a "serious injury" under Section 5102 of the New York State Insurance Law? 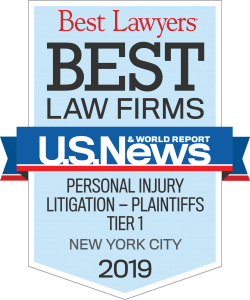 Under New York law, when a car accident victim seeks compensation for pain and suffering, he or she must prove that they have a “serious injury” as defined by the Insurance Law. Certain injuries, such as broken bones (fractures), significant disfigurement, loss of a limb and death automatically qualify as a serious injury. Other categories require competent medical proof to establish that a part of the claimant’s body is significantly limited or that the an injury has prevented the person from performing substantially all of their usual daily activities for at least 90 out of the 180 days immediately after the accident. In order to collect money for pain and suffering, it is necessary to establish that you have sustained an injury such as a broken bone, loss of a limb, damaged muscles/nerves, burns, scars, etc. that have caused you pain, suffering and an inability to participate in your normal daily activities without experiencing pain.